Bent and welded sheet metal and steel tubing, powder coat base and polyurethane finish. 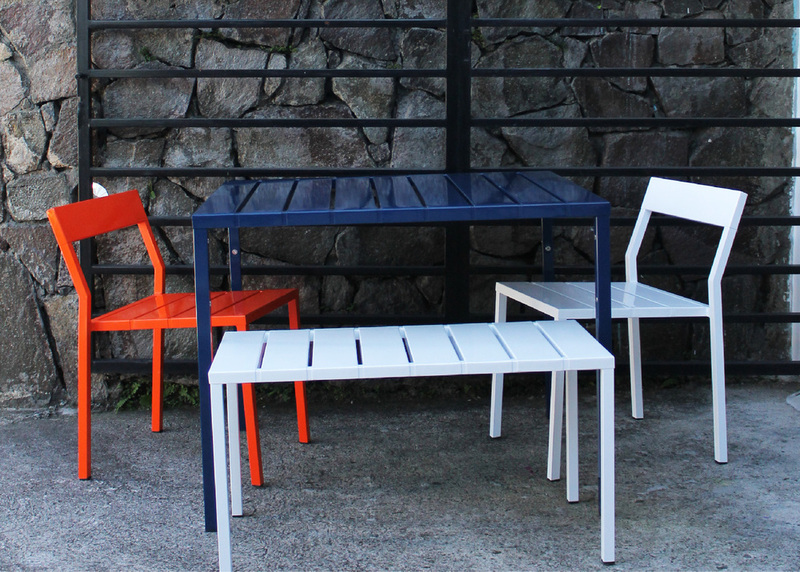 The TL1 Table comes in a variety of colors and is finished to withstand outdoor use. Pieces can be fitted with wooden tops (sold seperately) which mount without tools or assembly. Available in two sizes, capable of seating four or six people.